Drug addiction affects not just an individual, but the entire family unit. If you notice a loved one is struggling with an addiction, reach out to them before they spiral deeper down. It’s not unusual for family members to take on dysfunctional roles. These roles may enable the addiction. Many drug users struggling with addiction will have a higher success at recovery if loved ones familiarize themselves with treatment approaches. Many treatment centers offer support for family members as well. This might include therapy or counseling. Family members explore the cause of addiction and how drugs and alcohol affect the brains. They learn more about drug or alcohol addiction, so they know how to respond and interact with drug users. They may also learn about the different types of signs and symptoms of an overdose. Here are 6 things you can do to make a difference in the life of a drug addict. There are many misconceptions about alcohol and drug addictions. Many people don’t realize that addictions are considered as chronic mental disorders. While the initial decision to experiment with drugs is voluntary, the rest may not be. Once drug users get hooked on drugs or alcohol, the brain’s reward system becomes altered. It may be impossible to function without taking the drug or alcohol. Avoid judging drug abusers. Instead, take the time to educate yourself on alcohol and drug addictions. Learn how an addiction chemically changes the brain. Also, get more information on the different obstacles that many drug addicts run into. Being addicted to drugs may be more of a possibility than you realize. Getting sober and quitting illegal drugs may be one of the most challenging things a person can do. Educate yourself on the type of withdrawal symptoms to expect with their drug use and addiction. In particular, it’s important to learn how the brains reward system works. The National Institute on Drug Abuse (NIDA) provides a lot of useful information. For example, consider whether they’re a prescription painkiller or a cocaine addict. Different addictions come with different health effects. A heroin addiction can turn deadly. Also, consider the type of drug treatment that is most recommended, and the consequences of drug abuse. By understanding drug abuse, you can guide a loved one struggling with a drug addiction in the right direction. If you notice a loved one abusing drugs, it’s time to take action. Depending on their drugs of abuse, they may need drug detox to get sober. Those who are struggling with co-occurring disorders need addiction treatment that deals with both issues. Those who are unsure of whether their loved ones are struggling with an addiction should consider speaking to our medical professionals. Our team can assess your situation to determine whether drug rehab or alcohol rehab is needed. Many drug abusers don’t seek treatment for drug abuse. This is because they don’t realize how dangerous their abuse and addiction is. Many addicts can carry on with daily errands. They may believe that their addiction to drug and alcohol is just a phase. To help them see the reality of the situation, gather up as much evidence as possible. This might include notes on the intensity of the withdrawal symptoms they’ve experienced when they’ve tried to quit. It may also include references from others on their school or work performance. Be as thorough as possible about the effects of their illicit drug use. For example, you might have noticed significant weight loss. Those who abuse prescription drugs often experience physical symptoms like weight loss. By gathering up as much evidence as possible, you can also keep track of their drug use and addiction. You’ll also be able to give this information to one of our counselors when you contact us. This information is pertinent to a thorough assessment. It’ll help our medical staff determine the addiction treatment plan that is most suitable for your loved one. Don’t sit by silently. It’s time to link up with other family members and friends to stage an intervention. You can stage an intervention with or without an intervention specialist. If you keep note of the effects of the substance use disorder, you’ll have some compelling points. This is why understanding drug abuse and addiction is essential to helping a drug addict recover. There are many different types of substance abuse interventions available. One of the most effective types is the Johnson Model of Intervention. Those who undergo this intervention are much more likely to seek drug addiction treatment than those who don’t. Tough love intervention is excellent at handling teen drug abuse. Knowing the success rates of various interventions may help you make an informed decision. Different interventions may be more suitable for certain drugs of abuse. Choose your candidates well. Make sure that the candidates chosen are on good terms with the drug abusers. It’s also vital that the candidates are level-headed and able to be compassionate during the intervention. It’s best to host the intervention for drug dependence on neutral grounds, like at the family home. This prevents any mental health issues. To encourage drug addicts to seek addiction treatment, learn about the different options offered. Depending on the addict’s drug choice, they may or may not need medication-assisted treatment. Quitting some drugs can become deadly. In worst-case scenarios, the withdrawal symptoms can include coma and death. In these situations, certain addiction medications are needed. The type of treatment program that is most suitable for substance abusers will depend on the drugs of abuse taken. For example, those abuse hallucinogenic drugs due to trauma may benefit most from Eye Movement Desensitization and Reprocessing (EMDR) therapy. Some patients may struggle with a mental illness. In these situations, treatments for co-occurring disorders are highly recommended. Learn about the distinct features of each drug treatment type. Look at the differences between residential treatment programs and outpatient programs. This way, you’ll be able to make some recommendations to your loved one. It’s a good idea to learn the differences between inpatient treatment programs and outpatient treatment programs. 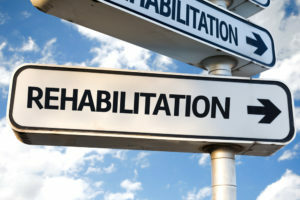 Rehab centers often offer different types of treatment programs. Some are geared towards street drugs, while others are more suitable for club drugs. It’s important to note that the different drugs have varying addictive potentials. It’s easier to become dependent on some drugs than others. Many drug addicts often use the excuse of not being able to afford treatment to avoid getting help. You can make it easier for them to seek help if you plan everything out. This includes figuring out the different payment options available. If your loved one is covered under your health insurance policy, a large part, if not all, of the bill may be covered. Call our office so that we can verify your insurance information. We’ll file all the paperwork needed for your loved one to get the help they need. There are also many state-funded and federal-funded programs. These programs help pay for addiction treatment. We’ll let you know what your loved one is eligible for. You can search for recovery programs yourself. Use the Substance Abuse and Mental Health Services Administration (SAMHSA) search tool. It can provide you with a lot of helpful information. Other than planning out the details of the addiction treatment, it’s also vital that you work on yourself. This includes learning how your behavior ties in with the addiction. In particular, you need to learn how to say no and how not to become an enabler. Saying no can be difficult for many loved ones, especially when they watch the addicts go through withdrawal symptoms like mood swings and cardiac distress, like a fast heart rate. Being firm and having firm boundaries will help a drug addict recover from an addiction. Don’t hesitate to attend Al-Anon meetings. There are also other programs that offer support to family members. These meetings can help repair relationships between drug users and their loved ones. Addiction is a difficult disease to recover from. It’s not unusual for many addicts to relapse sometime during the recovery process. Relapse rates are high for all types of addictions, from prescription drug abuse to illicit drug abuse. The key is to never lose hope. Don’t let a relapse define your loved one. Instead, make sure you support them while they are recovering from commonly abused drugs. The key is to be persistent and to stay consistent. With your help and support, your loved one can break free from addiction and lead a healthier and more fulfilling life. If you need any additional help, don’t hesitate to contact us. We can walk you through the specifics and answer any questions you may have. If not, check out our blog. We have many answers to some of the most frequently asked questions about addiction.